Each day I have to work is always an experience, from my commute into the city on the subway to the elevator stops on my way up to the 35th floor of the Hearst Tower where the Food Network Magazine is located. Some of the tasks that I have during my workday as the Art Intern are: organizing the layout wall in the Creative Director’s office that shows the most up-to-date versions of the spreads for the current issue; updating layout files in Woodwing; gathering content for a presentation that the Editor-in-Chief might be doing later in the week or in the weeks to come; working with the photo department in getting them the correct information on images used in layouts throughout the issue to order high resolution images from the photographer. If I work in the beginning of the week, I sit in on the staff meetings where the Managing Editor goes through each spread of the issue to get its progress and go through the next issues content as well. Some design opportunities have come my way and I work closely with the Art Director in producing the specific page or pages within the issue. Near the end of the issue deadline, I print out the layouts for the books, which go to specific editors and they review the whole issue before it goes to the next step in production. Since I could only get credit hours for the internship with Hearst, I postponed my graduation knowing that this opportunity might not come again after I graduate since they only do college credit internships. 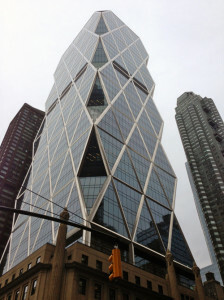 Now that I have gained experience with magazine publishing, I hope to stay in New York after the internship and secure a full-time job within Hearst or in the magazine industry. 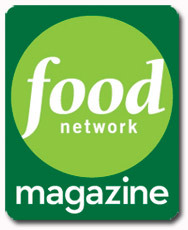 The internship with Food Network Magazine has taught me many things during my short period there thus far. It has allowed me to see how a magazine truly operates from the beginning to the end of each issue, and the ability to multi-task on multiple issues at one time. When we reach a certain part of production, gears are shifted to the next issue until proofs come back with edits and still continuing to work on the next issue set to print. The insight of how they organize everything is simply an experience to have in itself and look forward to my next two months and what I will learn!